September 5th 2015 saw the running of the 2nd Melbourne Firefighter Stair Climb by the Firefighters Charity Fund Melbourne. It was an amazing day to see almost 400 firefighters undertake the physical ordeal of climbing the 28 floors of Crown Metropol. The atmosphere on the day was electric and the presence of cancer patients who are currently undergoing treatment only served to bring home the importance of both cancer research and the efforts that went into fundraising. The event was won by MFB South Melbourne firefighter Mike Ward who left nothing in the tank to get to the top in 3min 30sec (still faster than the lift). Mike remains unbeaten in this event. CFA Diamond Creek Fiona Macken won the womens race in 5min 11sec. Team event went to MFB South Melbourne. Fundraising was also a great focus on the day with CFA Stonehaven Jeff Harriot the individual top fundraiser raising $11,356 and MFB Thomastown winning the station fundraising with $16,752. 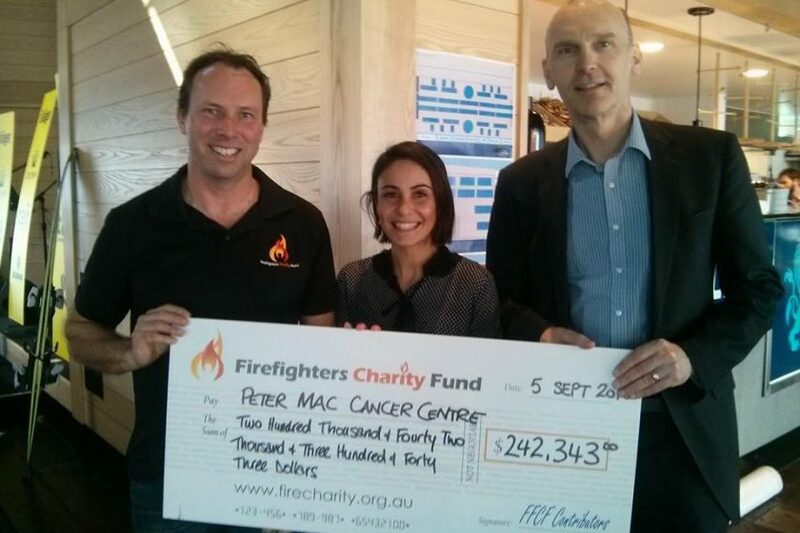 The day was completed with a great speech from Peter Mac research scientist Clare Fedele and MFB Thomastown firefighter Scott Morrison’s emotional speech about his ongoing battle with cancer (non Hodgkin’s lymphoma). 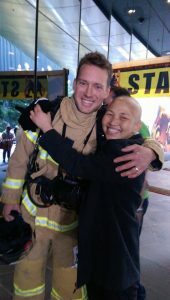 The Firefighters Charity Fund would like to thank all the firefighters who participated, the event volunteers, our event partners (Crown, Drager, Tait, Scania, Defence Force Recruiting), logistics supporters – MFB and the stair climb committee (especially LFF Steve Axup and James Beard). Please visit our Facebook page Melbourne Firefighter Stair Climb.